An important factor affecting acquisition of pollution elements could be the lichen growth form. The Brunauer–Emmett–Teller theory approach has been used to determinate the specific area surface (BET-area) of solids by gas multilayer adsorption. Taking this standard method as a new tool, we measure the specific thallus area in foliose and fruticose lichens to evaluated area/volume relation for bioaccumulation prospects. 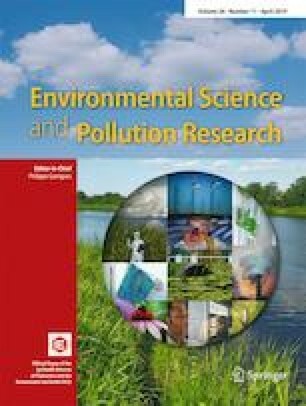 Some preliminary results of elemental contents such as REEs (La, Sc, Sr) and pollutants (Cd, Co, Pb) were also measured to support the importance to use for the analysis of these thallus attributes. Soledad Perez Catán and María Inés Messuti contributed equally to this work. The authors express their gratitude to L. Dufou, M. Gosatti, and the laboratory staff of Grupo de Separación Isotópicas, Complejo Tecnológico Pilcaniyeu, Comisión Nacional de Energía Atómica, and Laboratorio de Química of INVAP-SE, for their collaboration in sample analysis. MIM is grateful to Universidad Nacional del Comahue and Consejo Nacional de Investigaciones Científicas y Técnicas. This work was founded by PICT 2015-1269 and Universidad Nacional del Comahue (B04/207) projects.